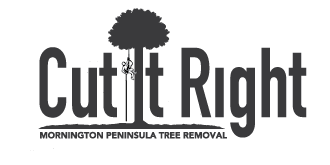 Cut It Right Tree Service can help with Elm Leaf Beetle Control. We provide a range of services including stem / trunk injection lasting up to 3 years. Important: Only an arborist or pest control operator who is licensed to apply pesticides and has obtained the required permits should apply the following methods. Trunk injection with Imidacloprid* is considered to be the most effective and environmentally sound option. The insecticide is injected directly into the trunk of the tree. The tree transports the chemical to the leaves where it kills the beetles. Tree trunks must be >200mm diameter. Soil injection with Imidacloprid* can be applied to trees of any diameter. 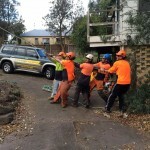 Soil injection requires up to 100 L of water per tree and is not recommended when soil moisture is low. Soil injection is highly detrimental to soil flora and fauna, including earthworms and mycorrhiza. Applications near creeks and rivers or near food gardens pose particular risks for invertebrates and human health. Soil injection can be used on trees of any trunk diameter. Soil and trunk injections typically remain effective for 2- 3 years. Foliar sprays are usually impractical due to the size of large elm trees, but might be achievable with young trees. Foliar sprays need to be applied annually. 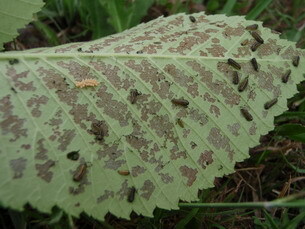 Heavy infestations of elm leaf beetle can completely defoliate an elm tree, impact its growth and ultimately lead to the tree dying. 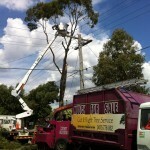 Disclaimer: While all care has been taken to ensure that information contained in this blog is true and correct at the time of publication, the Department of Primary Industries, Parks, Water and Environment gives no warranty or assurance, and makes no representation as to the accuracy of any information or advice contained in this publication, or that it is suitable for your intended use. No business or investment decisions should be made in reliance on this information without obtaining independent/or professional advice in relation to your particular situation.